Liverpool Philharmonic reveals details of intimate new live space The Music Room, due to open its doors later this year, Getintothis’ Patrick Clarke takes a look at the addition. Liverpool’s impressive live circuit is due for another addition this year, with the Philharmonic Hall announcing that brand-new performance space The Music Room will open this Autumn. The venue forms a part of an extensive £13.8 million refurbishment currently underway at the Grade II listed building, which will host the likes of Elvis Costello and Rufus Wainwright this Summer. With a variable capacity of 160-250, The Music Room will host folk, roots and acoustic music, as well as concerts by Liverpool Philharmonic ensembles, to complement the programme of the main auditorium. The Philharmonic also intend for the space to help deepen relationships with city-based artists, festivals and promoters. The room, which has its own bar, is also available for private hire, and will have its own entrance on Sugnall Street. It will also provide new space for the Philharmonic‘s extensive learning programme, which includes pre and post concert talks, children’s workshops and sessions with visiting conductors and artists. 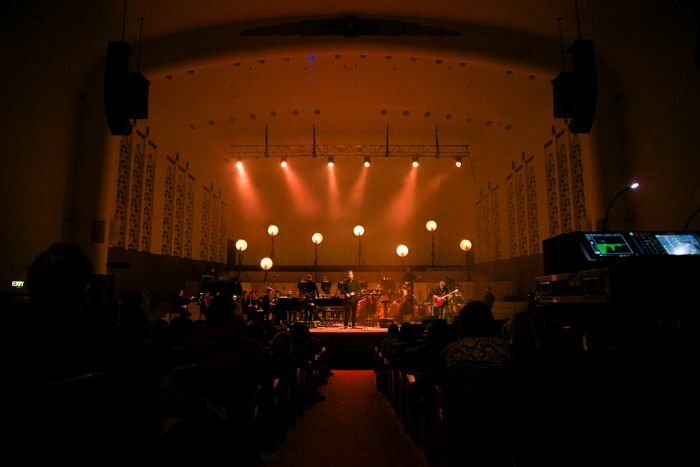 Richard Haswell, Liverpool Philharmonic Head of Programme said: “The Music Room offers us a unique opportunity to present a wide range of smaller-scale concerts and events in a purpose-built space to complement our programme in the main Hall. Among other changes being made during the refurbishment is a key focus on gig accessibility, with lift access to all levels of the Hall and improved accesibility and seating for disabled gig-goers and wheelchair users in the main auditorium. The first run of September-December shows for The Music Room will be announced and ticketed this June. 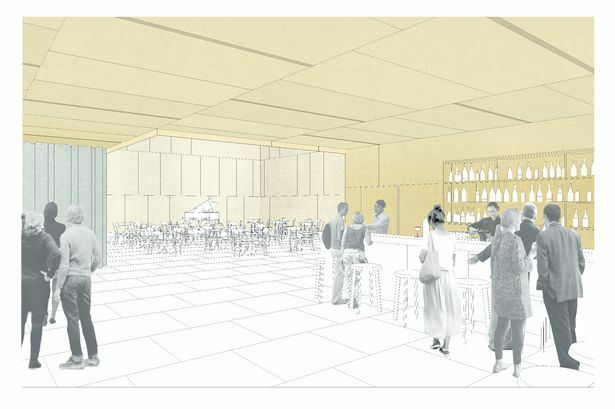 Here’s an artists impression of what The Music Room will look like.